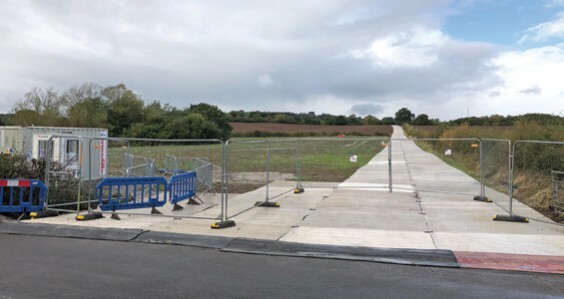 Chairman Robert Cholmondeley told councillors that Network Rail was constructing a temporary roadway (above) beside Bittell Farm Road in preparation for the footbridge, which will replace the “yellow brick road” foot crossing. Network Rail closed the foot crossing in summer 2015 for safety reasons, in the face of opposition from residents and walkers, and decided to install a footbridge – estimated to cost £1 million – as a diversion would be too long. Since then, work has been postponed a number of times. The bridge scheme has been met with raised eyebrows in Alvechurch, where councillors were told Network Rail did not have enough money to finish the station car park. Meanwhile, Barnt Green Parish Council has written to West Midlands Trains, which now has responsibility for Barnt Green station, asking for improved signage. “Platform 1, where passengers catch the new Bromsgrove service, does not have an information screen, so you have to cross over to another platform to find out the train times,” said clerk Gill Lungley. Coun Joe Nilsson pointed out that since the bridge still has no lifts, people in wheelchairs or travelling with pushchairs would not be able to do this. There is still no definite date from Network Rail on when the long-promised lifts might be installed.